Labyrinth of Refrain is one of the most interesting and original dungeon crawlers that we've seen in quite some time. As we wrote in our review: "Labyrinth of Refrain represents a genuine attempt to subvert and modernise a genre that even fans, such as myself, would readily admit is traditional to a fault." Now there's a sequel coming, titled Labyrinth of Galleria. 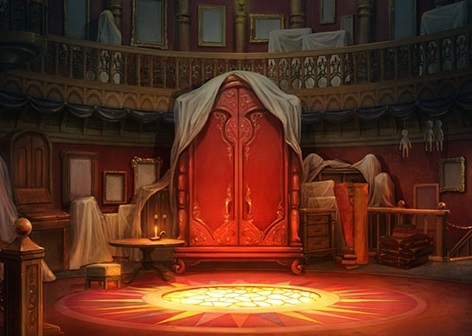 It hasn't been formally announced by the developer/publisher, Nippon Ichi, just yet, but some details have been revealed by Dengeki PlayStation - one of the popular print magazines in Japan. What we do know about the game is that it will be released in Japan on July 25, for Nintendo Switch, PlayStation 4 and Vita, and the team behind it is much the same as who worked on the first game. You can be almost certain that the game will get a localisation and release in the west - NISA bring almost everything that the parent company produces in Japan. I wouldn't expect the Vita version, though - just Switch and PS4.